Sun Tzu’s The Art of War is a must read for anyone involved in the fast-paced, high-stakes world of corporate management, sales, and—yes—finding an Arizona commercial property for lease. This book established principles for executives, leaders, and decision-makers across continents and centuries and can help you find the perfect Arizona office space for lease. Choosing where to set up your business is a life or death office space decision relative to your company’s success. That’s a lot of pressure to put on one, or even a team of people—that’s why thinkers like Sun Tzu, and companies like Camroad Properties are here to help! 1) Planning comes first, then placement. Make sure your location, budget, supply lines, and business goals sync up optimally. Luckily, Arizona is a perfect place to open up shop (and here’s why). Scottsdale’s golf courses are perfect for company outings. Arizona State University has campuses in Phoenix and Tempe, which are constantly churning out some of the nation’s sharpest minds ready to be recruited by businesses of all kinds. 2) Appearances matter! Prime real estate tells a story about your business. Choose your Arizona office space for lease wisely to make sure your space sends the right message to your clients, employees, competitors, and—most of all—yourself. If you’re setting up camp in any of Camroad’s numerous Arizona office spaces, you won’t have to worry; you’ll be signing a lease with real estate crème de la crème. 3) Run the numbers BEFORE you walk into a new office space. Ask yourself: Are there hidden costs I’m not considering? Before signing a lease for commercial property in Scottsdale, Phoenix or Tempe, make sure you read the fine print. If the real estate manager thinks you should be paying for air conditioning maintenance, ask questions. This is your business’s future home! 4) Identify commercial real estate features that match your business needs. Account for your employee parking situation, waiting rooms, recreational areas, lunchrooms etc. It’ll matter down the road when you want to keep your employees happy, productive, and on your roster. The Sonoran Desert is pretty hot, so when you’re looking for offices in the Phoenix, Scottsdale, or Tempe, you’re probably going to want to get covered parking spaces. Teamwork is crucial to success. Your office space should be a collaboration station. In today’s fast-paced business world, project completion and delivery relies on a diverse array of skills, talents, perspectives, and social relationships. When you’re choosing your office space¸ look for locations and spaces that will maximize opportunities for innovation through collaboration both internally, and with neighboring businesses. It is important for businesses to find the right space. By keeping these five tips in mind during the search, a business can quickly find the picture-perfect space to fit their needs. For more information on Arizona commercial property for lease, contact Camroad Properties. When beginning the search for Arizona office space for lease, there are many things that a business should consider. Moving a business is a significant commitment of time and resources for any company, and it is important to find the perfect Arizona commercial property for lease before singing an agreement. 1. What lease terms are we willing and able to commit to? Many commercial property leases are signed for three to five years. It is important to have an idea of what length of lease is appropriate. 2. Is our company going to be expanding or downsizing soon? Because commercial leases are often signed for long periods of time, business owners should consider the future of their business while searching for the perfect space. Not only does the office need to fit the company size right now, but also it will have to fit the company size in five years. 3. What amenities are important to our business in an office building? Consider what would make the office space comfortable for employees. Critical amenities might include covered parking, a gym, or a cafeteria. Take the time to talk to employees about their needs. 4. Will our new space fit our brand message? Clients and vendors can interpret a lot from the office space of a business. It is important to make sure the new office space reflects the company brand and values. Consider this before signing a lease in a trendy neighborhood or a unique space. 5. Where are we accessible to our current employees? Many employees move into houses or areas of town that are close to where they work. When a business moves across town or into a new city, it can have a drastic impact on employees’ commute. Reflect on where key employees live, and understand the effect that a move may have on them. 6. What can we afford? Moving is a very expensive undertaking and a business should study all of the financial demands of moving. Unexpected costs may include a fee for breaking the lease break at your current location, broker payments, hiring a moving company, and updated marketing collateral and business cards with a new address. 7. What is nearby? If employees travel a lot for business, it might make sense to find a location near the airport. It will also make sense to be near the places where your employees need to be. For example, it might benefit a law firm to be near the courts or judicial offices. Also contemplate moving near important clients, hotels, or restaurants where meetings frequently occur. When looking for Arizona office space for lease, it is important for businesses to find the right space. By keeping these seven tips in during the search, a business can quickly find the picture-perfect space to fit their needs. 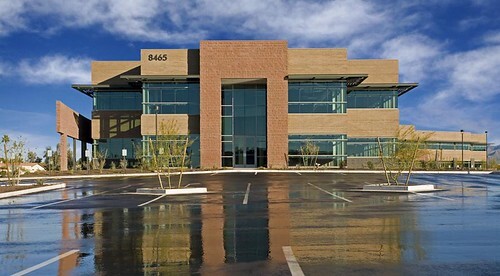 For more information on Arizona commercial property for lease, contact Camroad Properties.